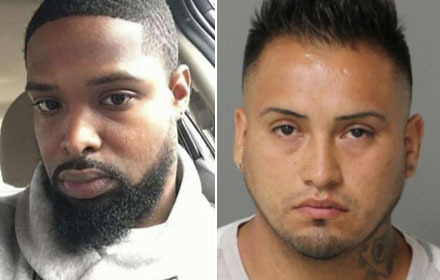 An illegal immigrant convicted of felony hit-and-run in a crash which decapitated a 27-year-old North Carolina man should be deported because “he doesn’t deserve to live in the land of the free,” the victim’s mother said. Jamar Rashaun Beach was riding his motorcycle home from work in Raleigh last September when he collided with a van that failed to yield the right-of-way. Beach, the father of a 2-year-old son, was killed on impact. The van’s driver, Neri Damian Cruz-Carmona, 26, fled the scene. Cruz-Carmona, from Mexico, is in the U.S. illegally. The illegal immigrant pleaded guilty to felony hit-and-run causing serious injury or death, but prosecutors said they could not prove that he caused the accident or was driving while impaired even though they believe he did both. A Wake County judge on March 15 imposed the maximum sentence of 20 to 33 months in prison. With credit for time served, Cruz-Carmona could be eligible for release in just 14 months. Beach’s mother, Cameo Robinson, said on “Fox & Friends” on March 20 that the sentence is too lenient. During Cruz-Carmona’s hearing in Raleigh, Beach’s family “cringed when the defense attorney pleaded for leniency,” ABC11 WTVD reported.